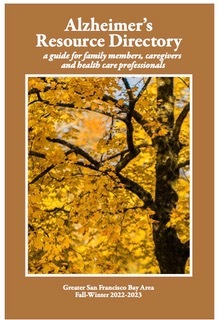 This directory contains a comprehensive listing of Assisted Living communities, Skilled Nursing Facilities, Referral/Care Management Services, Adult Day and Adult Day Health Services, Assessment/Diagnostic Services, Home Health Care, Home Care, Hospice Agencies, Attorneys and area support groups that work with Alzheimer's patients, families and caregivers. Below is a listing of advertisers from this directory. Most are set up so you can click on their business name to go directly to their Web site for more information. These advertisers make our directories and this Web site possible. We urge you to give them extra consideration when looking for a product or service they may offer. And please, let these businesses know how you found out about them when you call or visit. To view or download a copy of this publication click here.